You would have to be foolish to predict the shape of the government that will form after the October 19 federal election. Canadian politics continues to surprise – look at the May election in Alberta. We can anticipate that the economy and security will be important. But it will be the leaders, ground game and war rooms that will decide a race that will likely turn on a small number of hard-fought riding-by-riding contests. I cannot pretend to be neutral: as leader of the New Brunswick NDP, I will be working hard to make Tom Mulcair Canada’s first NDP prime minister. But here I offer a survey of the leaders, the party strategies and machines and the political landscape they’ll battle over during the campaign. Since the peculiar election of 2011, no party has maintained support above the 40 per cent needed for a comfortable win. Justin Trudeau, gifted with adulatory media coverage but hobbled by repeated gaffes, has returned a shattered Liberal Party to contention, but has been less successful in defining who he is beyond being heir to a famous name. Thomas Mulcair, exceptional in the House of Commons, has maintained support in Quebec and kept the NDP viable as an alternative across Canada, but his party struggles to change long-held negative perceptions. Stephen Harper, who has endured a succession of mistakes and scandals common to a party approaching the end of a decade in power, is undoubtedly a divisive figure, even loathed by many, but his party remains popular in many parts of the country. The Conservatives do best on questions of economic management, the issue that heads Canadians’ list of concerns. During the Tory years, high oil and gas prices pumped from Harper’s prairie heartland injected billions into equalization payments for have-not provinces suffering from the decline of the manufacturing and non-petroleum resource sectors. Thousands who made the trek to work in Fort McMurray sent remittance payments home to struggling families in the Atlantic Provinces and elsewhere. Now, with the price of oil hovering around $50 and many of those workers heading home to join the unemployment lines, the economy stands on the edge: disaster hasn’t struck, but it could. The Conservatives take credit for economic stability (however precarious), their capstone a barely balanced budget tabled in April. The budget was otherwise predictable, filled with cotton candy for target voters, including a long-awaited income-splitting tax reform that won’t benefit 85 per cent of Canadians. There’s money for transport in a pitch to urban voters, balanced budget legislation for hard-core conservatives, and a cut in the small business tax. There’s no single strong signal fire. Instead there are many small flashes of light, sending reassuring Morse code messages into the darkness to the 40 per cent of the electorate who will still, after ten years, consider voting for the Conservatives. To reach those voters, Harper’s campaign will spend heavily on government advertising. Everyone knows that governments will, even should, promote their own work: it’s supposed to be our work too, something we should be proud of. The Conservatives will claim it is a complete coincidence that wave after wave of ads precisely mirror the party’s communications priorities. That’s the problem with the Tories’ campaign: it’s too self-interested. The government is not so much letting the public know what it’s doing as demanding recognition from us for its good work. It’s a good sign that Canadians dislike this, but there are also good reasons why all parties promise to ban political advertising when they’re in opposition but never do when they’re in government. We dislike the ads and signs because they work, no matter your opinion of Harper’s government. You notice the signs and, in your mind, they add up as accomplishments. You know you’re being manipulated but you’re still being manipulated. It’s annoying. But the books are balanced. Unemployment is reasonable given historic precedents and global turmoil, although economic fringes such as the Maritimes are afflicted with jobless figures near or over 10 per cent. From Wabush to Victoria, the country’s highways and building sites are dotted with those ubiquitous blue placards signalling federal investment. Harper is walking a tightrope, taking credit for sound management while simultaneously warning of the dangers posed by NDP and Liberal inexperience: you may not like us, but just imagine what would happen if the other folks were in charge. This is a particular challenge for the NDP, a party suffering from the reality that it has never governed the country and the perception that it is incapable of managing the economy. Facts don’t support the latter claim: at the provincial level, New Democrats have delivered more budget surpluses per year in government than their Liberal or Tory counterparts. The party’s icon, Saskatchewan Premier Tommy Douglas, balanced the books before introducing new social programs including the forerunner to medicare. That legacy has been undermined by the Rae government in Ontario and a small but vocal collection of activists who demand the embrace of ever-growing government, deficit spending and punitive taxes as a way to demonstrate solidarity with some long-dead socialist ideal. That this group, not organized around any leader or policy, does not hold much sway over the party’s day-to-day operations, and never has, does not stop the media from trotting out this or that disaffected Marxist come election time. The left critic will loudly denounce the NDP for, once again, campaigning as a moderate social democratic party, and then – to the delight of the Toronto-centred and Liberal-leaning national media – will usually announce that because the NDP is not left enough they will have to vote Liberal to stop the Conservatives. No, it doesn’t make any sense to me either. The key to the NDP winning the economic argument in 2015 is more political than policy-based: the party must show competence and discipline during the campaign by sticking to a very short list of commitments and giving a clear “no” to those within the party or the broader left who will, undoubtedly, demand much more. Mulcair has so far stayed firm and on track: rejecting personal or consumption tax increases and embracing reductions in the small business tax while calling for job creation and daycare. Mulcair is well prepared with a list of practical if unexciting consumer protection initiatives, such as reducing ATM fees, which helped Jack Layton establish a middle-class beachhead in 2011. Mulcair’s signature policies, such as a national $15-a-day daycare program, appeal to traditional left voters without alienating moderates. The Liberals dream of the NDP doing a buffalo jump toward socialism or chewing its own ideological tail off, a spectacle that they hope would divert attention from Trudeau’s meagre and contradictory policy offerings. The Liberals have been all over the economic map in the two years since Trudeau was anointed the fourth in a line of so-far disastrous post-Chrétien saviours. 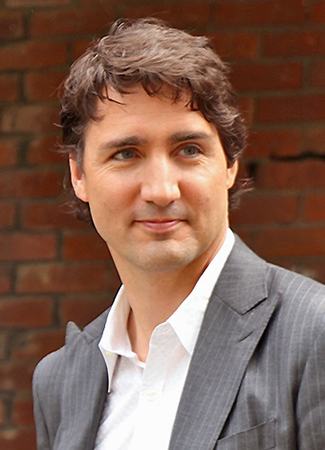 From endorsing the purchase of the Nexen oil company by CNOOC, a corporation controlled by the Chinese military, to contradictory positions on pipelines and free trade, Trudeau talks a lot about the middle class, but his policies – such as the May announcement of higher taxes for the very wealthy and cuts for the middle class – would not help most Canadians. What they do is advance the Liberals’ policy narrative for the campaign. The Liberals’ policy playbook is clear and well tested. Run to the left with a campaign of loudly progressive words and deliberately vague policies, forcing the NDP to choose between a race to the left or a public confrontation with extreme elements of its own base. Either way Liberals think they can win. Their history as a centrist governing party and – paradoxically – their history of doing the opposite in government from what they say they will do during campaigns allows them to position themselves further to the rhetorical left than the NDP without suffering serious consequences. Simply, most people don’t believe the Liberals when they say they’ll govern from the left; the party long ago learned that people not believing what you say offers distinct political advantages. Mulcair has much less room for movement: any hint of embracing a tax-and-spend platform will send moderate swing voters over to Trudeau. Following the attacks on servicemen and Parliament in Quebec and Ottawa in October 2014, the Conservatives pushed Bill C-51 through Parliament, in the process misjudging voters’ willingness to sacrifice real freedoms to protect against unspecified terrorist threats. The legislation faced quick and concerted resistance from a range of unlikely allies, from civil liberties groups to firearms owners and the police. Initial public sympathy was strong: in the face of the October attacks many were willing to listen to any proposal that could stop future attacks. But as the details of the bill become known, support withered. The Conservatives amended the bill, ensuring that nonviolent groups could not be classed as terrorists and removing the power of CSIS to make arrests, but C-51 became a symbol of a government many Canadians see as increasingly authoritarian. The NDP opposed C-51 and the Liberals supported it. Both parties added caveats, but the NDP was clearer, opposing the bill while offering a detailed critique. With an image of being soft on crime at home and a tendency toward unthinking pacifism abroad, the NDP pushed back, saying it would support laws that made Canada safer from terrorism but that C-51 did not qualify. When the Conservatives used various terrorism-related arrests to emphasize the need for greater law enforcement powers, the NDP pointed out that those plots had been exposed using existing police powers. Trudeau’s decision to support C-51 (a decision he took before the final draft was even finished) while making speeches in the House opposing it was classic Liberal triangulation. 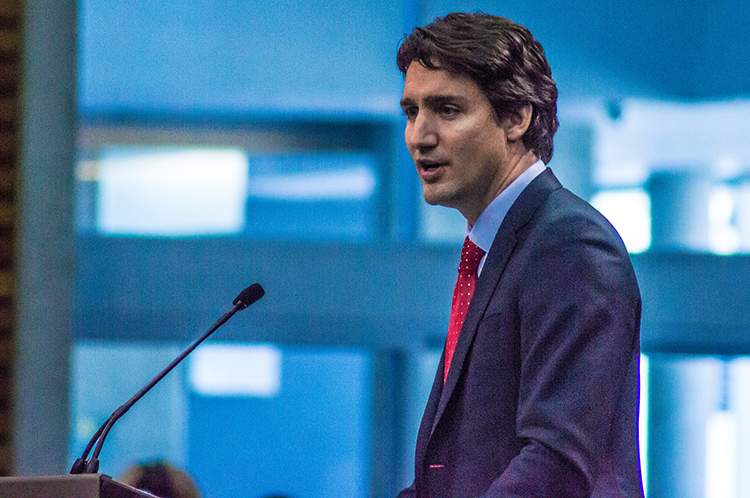 Liberal messaging on C-51 was unsatisfying and arrogant. Trudeau said there was no point opposing the bill because the Conservatives had a majority and, in any case, when Trudeau was prime minister his government would simply repeal the parts of C-51 it didn’t like. Trudeau’s cavalier approach to the role of an opposition party contributed to his party’s slow but steady decline in the polls from late 2014 onward, with voters who had previously been ready to give him a chance bleeding to the NDP and the Conservatives. While a major terrorist attack on Canada between now and election day would reset this debate, probably at the expense of the NDP, the Liberals have thus far failed in their attempt to use triangulation to differentiate themselves from their opponents. Over the decades, in the face of a single viable opponent, triangulation has worked for the Liberals. Will it work as well facing off against two relatively equal foes? Willingness to absorb ideas from the fringes, from the NDPs penchant for central economic control in the sixties and seventies to Reform-inspired deficit reduction in the nineties, can appear as a virtue when espoused by a government party of the centre, but now that the Liberals are a third party it can simply look like lack of principle. The Liberals will count on enthusiasm for their leader’s personality to overwhelm doubts about the specifics of what he would do as prime minister. Their 2015 campaign begins and ends with Justin Trudeau: to prove the point, try to visualize the party without him. It’s hard to think of a policy he’s championed except for legalizing marijuana; whatever the virtues of that idea, it’s not the core of a serious agenda to govern. Yes, the focus on the leader has put the Liberals back in the fight, but party strategists should worry that, after two years and with often astonishingly forgiving media coverage, the Liberal brand remains weak in much of the country: only in seat-poor Atlantic Canada does the party seem guaranteed to gain significant ground. Elsewhere, two- or three-way fights loom. More worrying, the campaign needed to win in, say, francophone Quebec, is very different from the one needed to pick up seats in British Columbia. Choosing the words that ring positive from coast to coast – and avoiding all the rest – is not easy. So far Trudeau has performed poorly on this score, and that must frighten his campaign team. This odd geographical deafness means Trudeau often speaks as though he’s living in an age not just before the internet but before mass media, giving not just slightly different statements but contradictory ones in front of different audiences in different places. He spoke against the Energy East west-east pipeline in one interview, and in favour of it in another in New Brunswick (where the pipeline will end in a large and job-rich building project at Saint John’s Irving refinery complex). What was effectively celebrity journalism during the pre-election period, practised by an overstretched and shrinking crew of mainstream journalists whose producers recognize that Trudeau’s pedigree, looks and family drive up fading ratings, will harden into political journalism during the campaign. Gaffes that had been dismissed as opportunities for another flattering hair-flipping photo shoot will be transformed into grilling sessions. Tripped-over sentences will grow into days of headlines. Being a politician with a fawning media fan base is like owning a pet python – eventually you are likely to get eaten. If Trudeau is skilful, more skilful than he has been to date, he will avoid those gaffes. If not he will have to hope the public is ready to look at him not more deeply but more superficially. He excels as a brand ambassador, heir to a parallel royal family suited to the demands of modern royalty – the good looks and the odd statements, a comfort with fame and a willingness to be famous as an end in itself. Maybe this is what’s wanted in a modern democracy. I hope not. 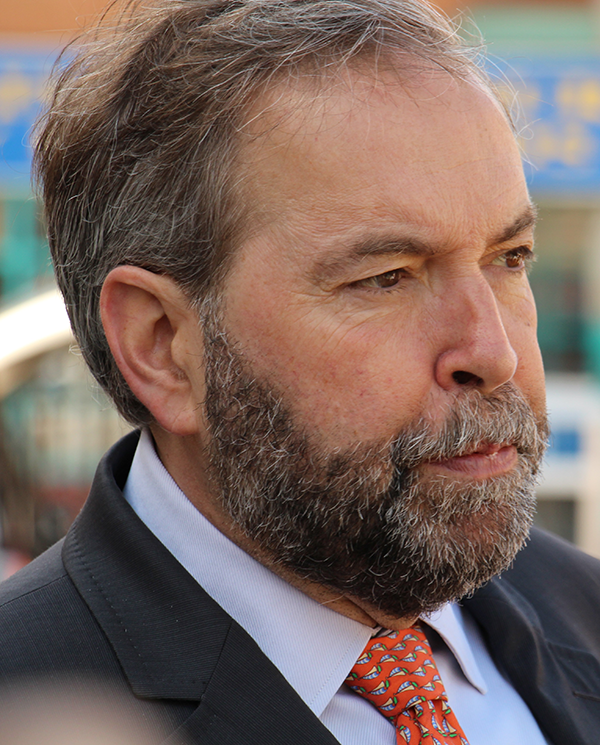 Mulcair is used to being a political leader. As a Liberal minister in Quebec he was prominent in a province with all the trappings of a small country, with a citizenry much more plugged into politics. The National Assembly is probably the only legislature more hostile than the House of Commons and Mulcair excelled there, earning him the reputation we’re now seeing on display across the country with his parliamentary dismantling of the government case on Senator Duffy and on C-51. Mulcair’s problem is the opposite of Trudeau’s: it takes little effort to imagine Mulcair as prime minister, no matter your opinion of him or his policies, but it’s harder to see the NDP as a governing party. While we’re used to Liberals running the country, it’s harder to see Trudeau as prime minister. The job requires a manager as well as a performer, someone with the mental agility of an air traffic controller who can keep dozens if not hundreds of policy files and individuals in their mind at any one time, constantly assessing and updating the ways they interact, hopefully guiding them to synchronized landings that will deliver political benefits for the government. Not many Canadians would question Stephen Harper’s ability to be an air traffic controller – although you might wonder how close together he would guide conflicting planes, from time to time, just to prove that he had the skill to do it. He rarely loses his temper. That iciness might have seemed refreshing ten years ago, in contrast with the manic grins and hand-waving of Paul Martin in his last months, but now it feeds into the Prime Minister’s reputation for malevolence. Harper has transformed himself from the civil libertarian Reform MP championing small government to the most centralizing prime minister in recent times. He has undermined independent offices, including the Parliamentary Budget Office that he created. After supporting and enhancing reforms to party financing, he presided over a party accused of repeated electoral malpractice, from the “in and out” scandal of 2006 to Pierre Poutine in 2011. It is hard to imagine today’s Stephen Harper allowing the young Stephen Harper, idealistic and outspoken, to remain in his party. It is even harder to imagine that the young Stephen Harper would want to stay. The scandals have built over the years and will wash over the election as the awful spectacle of the Duffy trial grinds along. The Conservatives will have to campaign on a cheerful message of highways and hope – a campaign that can succeed only if the voters don’t wake up as they did in Quebec in 2011 or Alberta in 2015, using the NDP as the way to deliver a hard slap to entitled establishment parties. If the NDP performs well over the summer, in Alberta now as much as in Ottawa, that will put extra pressure on the party. The New Democrats have never entered a campaign with a visible path to victory – and few imagined a world where that election would be performed in the shadow of the election of an NDP government in Alberta. The party’s platform and candidates have never been subject to the same scrutiny as those of the Liberals and Conservatives: perpetual opposition offers the chance to for candidates to be ill-disciplined and creative in making promises they know they will not have to keep. The NDP cannot do that in 2015. The full-on national campaigns Jack Layton ran in 2008 and 2011, raising money and spending it well to boost the profile of a party that never before seemed ready to govern – and that, in part, because it never seemed that it really wanted to govern – are a lasting credit to the late leader. For the first time the NDP as a whole is hungry to win, with a leader used to winning. 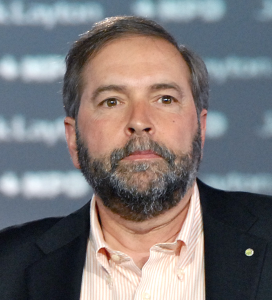 As a former Liberal, Mulcair was able to win over a very clannish party united in little but dislike for the Liberals. The NDP campaign will be focusing on showing that same persuasive personality to the country. In 2015 there will be local campaigns in places where the NDP has never organized, incumbents with positive track records in nearly a hundred ridings, new candidates with stronger résumés attracted by a more prominent party, the energy of the landslide victory in Alberta and a central campaign that will go dollar to dollar with the Liberals and Tories. The Liberal Party, until very recently also a party united in little but dislike for (other) Liberals, has closed its eyes, gritted its teeth and come together behind Justin Trudeau. This is an experiment that will either go very well or destroy the party in the form in which it existed from 1867 to 2011. If the Trudeau gamble works, then 2015 will mark the end of a worrying but short anomaly. If it doesn’t, the Liberals will, one hundred years late, follow the example of most European centrist parties and be replaced by a social democratic party as the principal national opposition to conservatives. The Liberals will fight against that fate in 2015 with a sophisticated voter contact database, a war chest filled with money, a leader who could be an asset and a deep knowledge of the grim fact that this is the old party’s last chance. They will claim that, despite their third-place status, they are the only party that can beat Stephen Harper. Their task is to convince the anti-Conservative majority that this is a sound argument and not continued Liberal entitlement. The Conservatives will fight hard to maintain their turf; they excel at on-the-ground organizing and have embraced modern campaign and fundraising approaches. As their election skills have modernized, the party has become more comfortable with an authoritarian approach. While Red Tories were grandfathered into the new Conservative Party when the Reform/Canadian Alliance and Progressive Conservative parties merged in 2003, they have not reproduced: there is no progressive wing of the Conservative Party striving to be heard, no young MPs ready to inherit the mantle of Hugh Segal or Dalton Camp. Jim Prentice was supposed to be the Reds’ last chance, but that dream died in Alberta in May. Fiscally conservative, small-government but socially liberal and progressive Tories, the ones who show silent but genuine toleration for such things as gay marriage and casual marijuana use, no longer have a comfortable home. Where will they end up? The NDP is going through a slow process of modernization, becoming more moderate by virtue of the party’s growth. The average Canadian is less radical than a traditional New Democrat, and since 2011 more average Canadians have joined the NDP. This trend will only increase with the election of the Alberta NDP. In her victory speech, leader Rachel Notley reached out to businesses and the oil and gas sector as she spoke about First Nations and her pride in leading a caucus with a near-majority of women MLAs. What is missing for the NDP, and this is a problem for centre-left parties around the world, is a core set of beliefs and values that are clearly connected to the modern world. Ideological parties of left or right need an emotional core to drive them forward, to provide a clear moral compass to guide their policies. Activists who enjoy permanent righteous opposition have found a new home in Elizabeth May’s Green Party. The NDP, which has finally won the affection of a broad cross-section of the people, has to reciprocate that affection. While the battle between TV ads plays out in September and October, the real battle will be over moderate conservatives, pushed away by the Conservatives but worried by Trudeau as a leader and the NDP as a party. 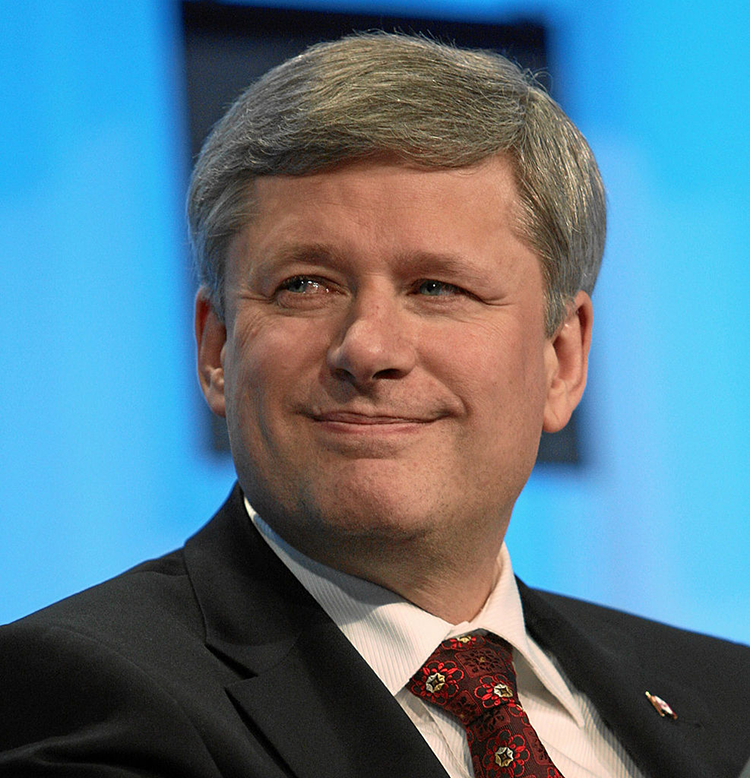 If Harper can convince them that both opposition parties are a dangerous risk, he could remain in 24 Sussex. If Mulcair can show that his new-model NDP is more than a new leader and that he is willing to stand up to his party when needed, he could come ahead. For Trudeau the way is harder: he has to show the country he is a man who has matured, by definition a process that cannot happen overnight. If the election does become a personality contest, the country has a clear choice between a front man and a manager. For soft Tories tired of Harper and his government’s excesses, subscribing to the experience and moderation of Mulcair seems an easier leap than embracing the cosmopolitan flash of Trudeau. The stark differences between the two leaders will further complicate an election that could return Canada to the minority governments of the last decade. It is hard to imagine a workable NDP-Liberal coalition, regardless of who comes first in the polls and regardless of Trudeau’s ill-advised statements that he would never form a coalition with the NDP. While I believe Mulcair would do what he felt was best for the country, the lightness of Trudeau would make a working relationship between the two men difficult. Couple that with the often-surprising animosity between New Democrats and Liberals at every level, from caucus to grassroots, and cohabitation looks unlikely. The Liberals and NDP both need to emerge from this election with concrete gains. For the Liberals nothing short of a win will do, while the NDP must build on 2011. For Harper, a loss will mean the end of the line, and a new battle will begin over the future of a Conservative Party that once stretched across the ideological spectrum and across the country. No matter the result it will be a narrower party, shorn of its provincial base in Alberta, that faces the challenges of the world post-October.